Now I have been putting this one off for a while as I have mentioned the comparisons between Doctor Who and the Buffy franchise many times in the past as have many others. Ultimately however you can’t not mention Buffy’s influence when talking about series that have helped shape the time lords adventures. Overall Buffy the Vampire Slayer and its spin off Angel are probably the two biggest influences on the 2005 revival. In this article we will be examining just what it is that the revival of Doctor Who owes to Joss Whedons classic series. At the same time however we will also be looking at what both Buffy and Angel took from the original Doctor Who series too. As we have explored in the past Russell T Davies really modeled the revival of Doctor Who on American genre series such as Smallville and Xena The Warrior Princess. However Buffy and Angel his two favorites were always the largest influences overall and their influence can even be seen in the Moffat era. 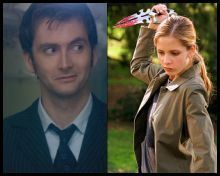 The characters of Rose, Captain Jack and the Ninth Doctor all to some extent owe a little something to Buffy and Angel. The Ninth Doctor much like Angel is someone who seeks to redeem himself for his past sins. Angel for the horrors he committed as Angelus the Ninth Doctor for the time war. Both have similar dark, brooding personalities and both even dress the same way in a long dark coat. Both the Ninth Doctor and Angel also fall in love with a blonde feisty teenage girl, Rose and Buffy. Now obviously Rose and the Doctor owe a lot to Xena and Gabrielle too as I explored previously. However one should still not underestimate Buffy and Angel’s influence on them too. Both Buffy and Angel and Rose and The Doctor are love stories that revolve around a cursed immortal in a long black coat who has done terrible things and at times is on the brink of going bad again who falls in love with a young blonde teenager. Both explore how their relationship on the one hand benefits the other but also how it leads to problems for them as well. The second season of both series even sees one of them trapped in an alternate universe away from the other. Thus whilst there is a lot of Xena and Gabrielle in the Doctor and Rose there are also elements of Buffy and Angel in there too. The character of Rose certainly is created in the mold of Buffy. In many ways Rose could almost be seen as a British Buffy the Vampire Slayer. Like Buffy she is an everyday teenager that most people seem to think of as slow and vapid who is thrust into an unbelievable situation and proves how strong and resourceful she is. Both also are created to be more relatable characters who still go through everyday problems despite regularly saving the world from monsters. Even in terms of appearances the fact that they are both little blonde teenagers, normally the most helpless role in horror and science fiction movies is deliberate as both obviously reverse this idea and give the helpless little blonde girl a better image, as both regularly kill Vampires, blast Daleks, cut Demons heads off etc. Captain Jack meanwhile again also owes something to Angel too. Much like Angel he is an immortal character with a dark past who later goes on to star in his own darker spin off series. Captain Jack Harkness even when he was evil used to travel with a man played by James Marsters AKA Spike on Buffy the Vampire Slayer and Angel, with Spike having been an old companion of Angel when he was evil. Marsters even voices this Spike like character in the same cockney accent he used for Spike! There is even a scene where Marsters character John Hart captures and tortures Jack Harkness that is similar to when he as Spike captures and tortures Angel. Same scene with the same actor! Its not just simply in terms of characterisation however that the revival owes a lot to Buffy. The whole structure of the show is similar to how Buffy was structured. Buffy the Vampire Slayer featured story arcs. Now obviously it was not the first to do this, but Buffy really created the Big Bad formula. This was where the story arc would revolve around one villain who emerged usually near the beginning of the season and became the main threat. This Big Bad would often be behind most of the story arcs that season and many other lesser enemies would often be mere minions and lackeys of the Big Bad. Eventually this big bad would be defeated in the season finale and usually killed after which in the following season a new big bad would emerge and take their place and the formula would repeat itself all over again. The revival of Doctor Who has followed this formula every single year. In series 1 the Daleks are obviously the Big Bad. In series 2 its the Cybermen and the Daleks again. In series 3 it is The Master. In series 4 it is Davros. In the specials it is Rassilon, in series 5 it is The Alliance. In series 6 it is The Silence. In series 7 it is The Great Intelligence. Finally in series 8 it is Missy. The New series also mixes more soap operaish elements, such as Rose and Clara’s home life together with larger than life fantastical ideas which was a trait of Buffy the Vampire Slayer too. Other classic fantasy and science fiction series like Star Trek, Xena The Warrior Princess, Babylon 5 and of course the original Doctor Who could never really be described as a soap opera. However Buffy at various points could, such as in the episode “The Body” which revolves around the death of Buffy’s mother through natural causes and only features one Vampire almost as a throwaway at the end. Similarly New Who has featured many episodes where the soap opera elements are somewhat dominant. The most obvious example was from the latest season “The Caretaker” which revolved almost entirely around Clara’s work life, with the science fiction element being a simple robot that’s barely thought out and feels almost like its thrown in there. Even the way many of the lead characters talk is similar to Buffy. New Who uses a lot of Buffy speak with the most obvious example being Moffat’s “Wibbly Wobbly Timey Wimey”. Anthony Stewart Head a prominent Buffy actor guest starred in an episode of the revival of Doctor Who and spoke in Buffy speak saying “kill the shooty dog thing”. In terms of specific moments and storylines in the New series that come from Buffy well there are many to choose from. The ending of “The Parting of the Ways” the first season finale of New Who is very similar to the ending of “Primeval” the penultimate episode of series 4 of Buffy. Both see the main heroine gain control of a virtually limitless power and use it on the main villain. Both instances see the villain with their scientific weaponry become completely helpless in the face of the ancient power the heroine wields. Rose even gets the same weird eyes Buffy does. The third series of both shows also features a villain who masquerades as a politician. 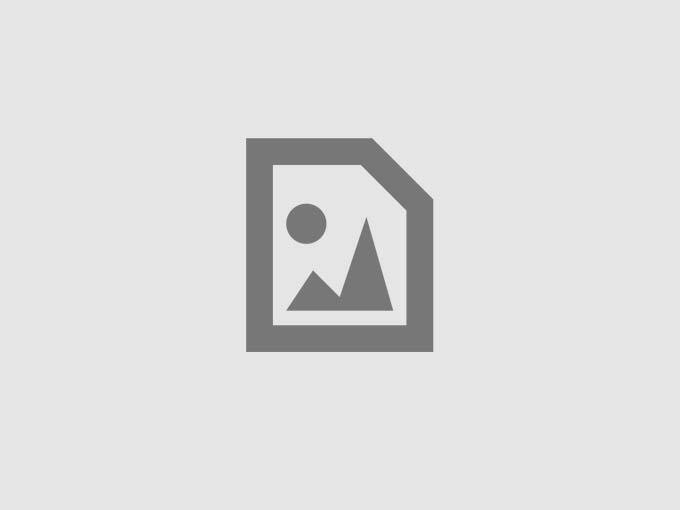 The Mayor Richard Wilkins and Prime Minister Harold Saxon who is really The Master. The Rift which debuts in Doctor Who and later became a prominent aspect of the spin off series Torchwood is very obviously inspired by the Hellmouth. The Hellmouth in Buffy the Vampire Slayer is an portal built beneath Sunnydale that links our world with other hell dimensions. As a result Sunnydale is a hotspot for supernatural activity as not only do creatures from within the hellmouth pose a threat, but it also naturally draws in other supernatural creatures too. The Rift meanwhile is a portal built beneath the city of Cardiff. It acts as a gateway between our world and multiple other realities. As a result of this Cardiff is a hotspot for paranormal activity with several creatures being drawn to and emerging through the Rift. The first season finale of Buffy sees a villain open the Hellmouth and unleash an ancient Demon trapped within. The main character Buffy even dies, but ultimately comes back and saves the world. The first season finale of Torchwood similarly sees a villain open the Rift and unleash an ancient Demon trapped within. The main character Jack is even killed stopping it but he comes back nonetheless, of course he does its Jack! In the second season Captain Jack meanwhile is buried under the ground by his brother. This is similar to Angel being buried under the ocean by his own son Connor at the end of Angel season 3. Both instances involve a loved one torturing the main hero by trapping them somewhere where no one will find them. I am not sure who gets it worse? On the one hand Angel goes mad and starts hallucinating from a lack of blood, whilst Jack would have died over and over again from starvation, dehydration and asphyxiation. Another similar gruesome fate we see pop up in both series are what happens to Matthias Pavayne and The Family of Blood. In the Angel episode “Hellbound” we are introduced to Pavayne played by one of my all time fave actors Simon Templeman. Pavayne is the ghost of a mass murdering psychopath who is able to avoid going to hell by sending other souls there in his place. 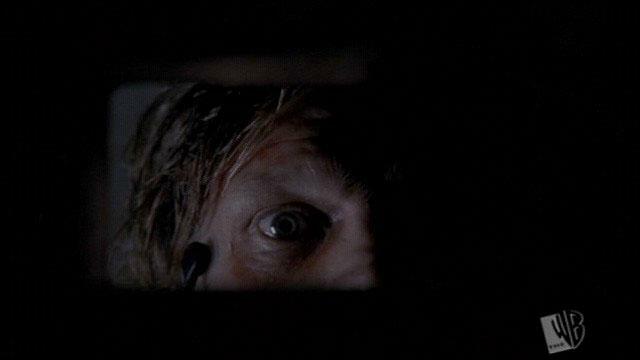 He soon sets his sights on Spike who at that point is a ghost and spends the entire episode torturing him both physically and mentally for fun before trying to send him to hell. Spike manages to escape from Pavayne’s home made torture chamber however and is later able to defeat him by knocking him into a device Angel investigations had tried to use to make Spike flesh again. Spike gives up his one chance to live again in order to save Fred whom Pavayne is choking in the process. Pavayne is rendered human again and is thus easily overpowered by Angel. Angel can’t kill Pavayne as if he does then he will become a ghost again and they will never be able to stop him. So instead he has Pavayne imprisoned in a cell where Pavayne can not move, speak, feel or even blink, but he will be still be aware and he will live forever no longer needing food or water. Thus Pavayne finally goes to the hell he so richly deserves. In “Human Nature/The Family of Blood” The Family are evil aliens who try and steal the Doctors life span in order to live forever. The Doctor later decides to punish them by condeming each of them to eternal torment. One of them, Son of Mine much like Pavayne is rendered unable to move, speak, or interact with the rest of the world forever. Both villains punishments are eternal and are ironically inflicted upon them by the main hero. Both also have a somewhat delicious irony to them, with Pavayne finally going to the hell he has avoided for so long without even actually dying and the Family finally getting the eternal life they sought for so long. Russell T Davies however who performed a huge rewrite on the tv adaptation of “Human Nature” has admitted that he drew from Pavayne’s horrific fate for the Family’s. The Silence also look very similar to the Gentleman from Buffy too, something which has been commented on by fans of both franchises. Finally a comparison can be drawn between the Daleks in the Davies era and the Old Ones in Buffy. Both the Daleks and the old ones were once the most powerful and evil creatures in all of creation. Their power was beyond what we could even conceive. In both cases they vanished completely and faded into legend but now they are returning and if they do no one and nothing can stop them. If the Daleks rebuild their fallen race in the Davies era then not even the Doctor can stop them, which is why he is almost willing to destroy them in “The Parting of the Ways”. In Buffy meanwhile if the Old Ones manage to escape the hellmouth then not even Buffy can stop them they will tear everything down. Thus both cases involve a villain who is so powerful that its not a case of how to stop them when they come back its a case of if they come back then nothing can stop them so the hero has to prevent that from happening. As you can see the revival of Doctor Who borrowed quite a lot from the Buffy and Angel. Again though this is no secret as Russell T Davies has regularly cited both Buffy and Joss Whedon’s works overall as a huge influence on his career, particularly on his work on Doctor Who. 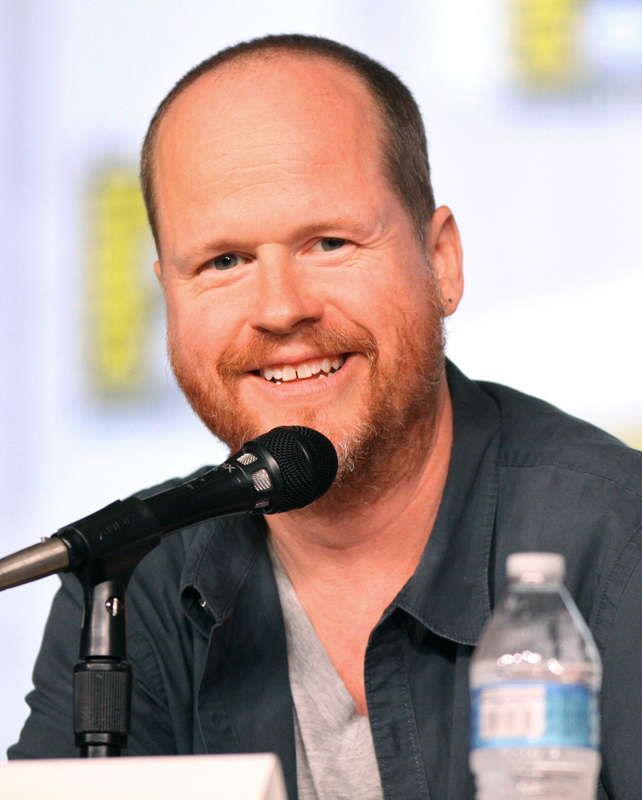 Davies has said that he feels Joss Whedon raised the bar for every writer on television not just genre writers through his work on Buffy. Thus it has always been known that Buffy and Angel were big influences on the revival of Doctor Who. Of course again it would be wrong to say that the new series of Doctor Who stole its ideas from Buffy as ultimately it managed to carve out its own identity but still it is definitely true that new Who particularly during Davies’ era owes a huge debt to the Vampire Slayer. 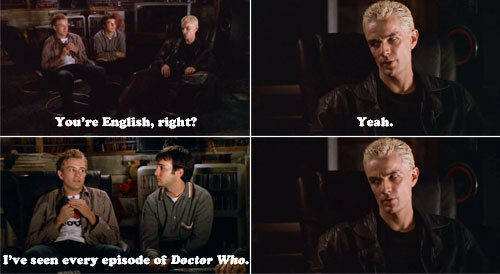 The original Doctor Who series was one of the many influences on Buffy The Vampire Slayer itself. Joss Whedon the creator of Buffy has said that he was never a Who fan, however many other writers on the show were. David Greenwalt for instance a prominent Buffy writer was a massive Who nerd. Many prominent actors even who appeared in the franchise were Who fans. Anthony Stewart Head, James Marsters and Eliza Dushku. Thus not surprisingly a few little bits and pieces from Classic Who as well as a few homages to the series popped up throughout both Buffy and Angel. 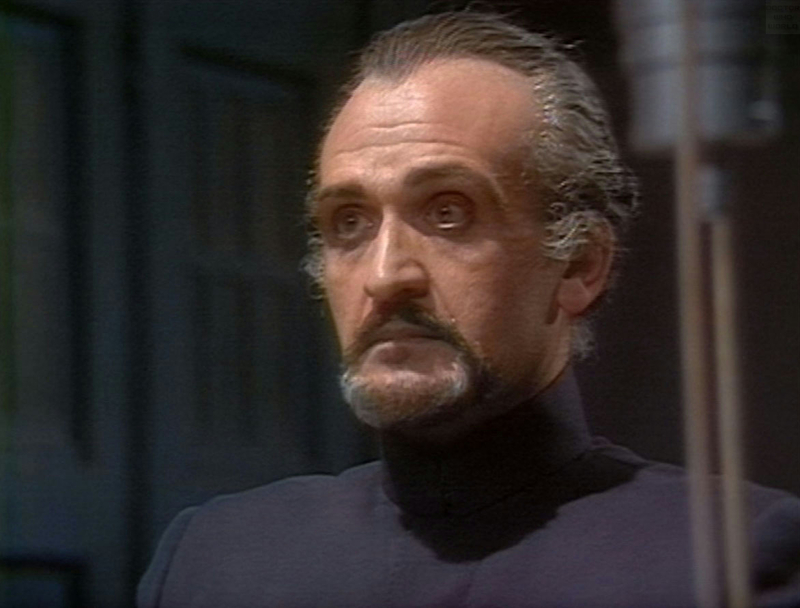 The most obvious similarity between the two series was the fact that both series have a recurring villain called The Master who dresses in black, has hypnotic powers and seeks to end the world. 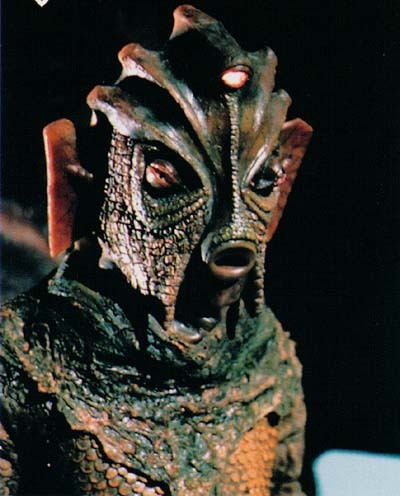 In the episode “Go Fish” the Gil men resemble the Silurians. The final scene where they return to the ocean is based on the sequence where the Sea Devils emerge from the ocean. The Buffy season 3 episode “Choices” features a box of Doctor Who references in the box of Gavrok. Gavrok is the name of the main antagonist in “Delta and the Bannermen”. Also the box is bigger on the inside than the outside like the TARDIS. Finally the giant spiders that live within are based on the Spiders from Jon Pertwee’s final story “Planet of the Spiders”. There is even a scene where one spider jumps on Buffy’s back that is a direct homage to the scene from “Planet of the Spiders where a Metebilis Spider jumps on Sarah Jane’s back. Once again Buffy reverses a classic damsel in distress moment as whilst Sarah screamed and paniced at the sight of the spider Buffy remains calm and uses her weight to crush it to death. In the season 6 episode “Smashed” Doctor Who is directly referenced when Andrew tells Spike he has seen every episode of Doctor Who, but not Red Dwarf as its not out on DVD yet. In the second ever episode of Buffy “Witch” the villainous Catherine Madison is transformed into a living statue forever which is similar to Borusa’s a time lord who seeks immortality’s fate, when he is transformed into a statue. 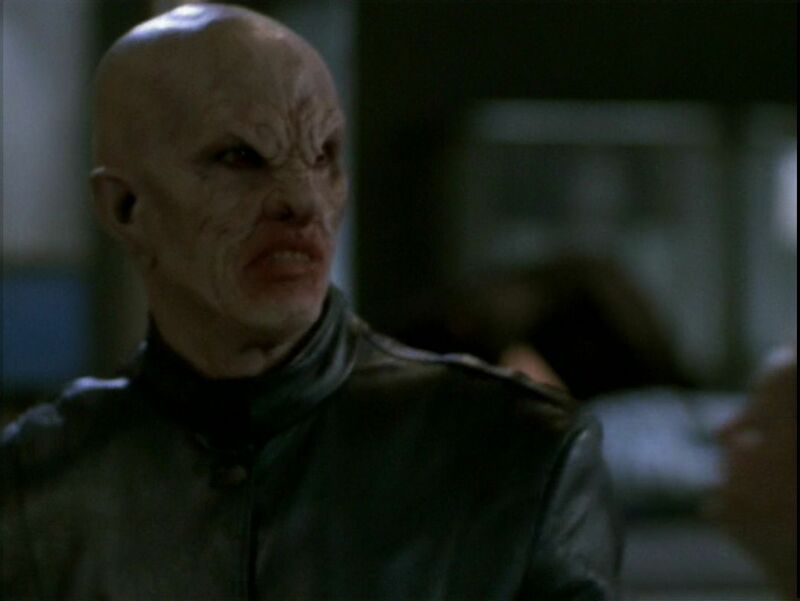 In the Angel episode “Hero” we are introduced to the Scourge Demons who despise all of humanity and any Demons that are infected with humanity. They are based rather obviously on the Nazi’s and their leader resembles Davros the creator of the Daleks greatly. 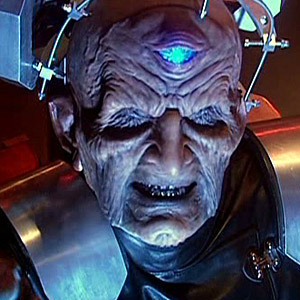 He even talks in a similar fashion to Davros and develops a weapon that can exterminate anything with even a hint of human blood, which is remincent of Davros’s hypothetical virus that he discussed with the 4th Doctor. The Ilyria story arc in season five also has some similarities to the classic story “The Hand of Fear”. In “The Hand of Fear” we are introduced to Eldrad an ancient and powerful alien. Eldrad was once the most feared member of his kind but his people turned on him and killed him. His mind however survived and remained buried underneath the earth for millions of years until it is released and takes over Sarah Jane Smith the Doctors young companion. Eldrad after rebuilding its body eventually makes its way back to its home planet where it believes its army are waiting for it only to discover that in the millions of years it has been away its army and its entire kind have died. Ilyria meanwhile is an ancient Demon who was once the most powerful member of her kind before they turned on and destroyed her. Her corpse was buried deep beneath the earth but her spirit survived and later manages to take control of Fred a friend of Angels millions of years later. Ilyria later returns to her home dimension where she believes her army are waiting to help her conquer the world only to discover that in the millions of years she has been away they have all perished and she is alone. 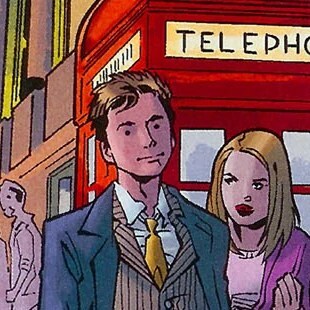 Incidently two Buffy comics would feature direct references to the revival of Doctor Who as well. One issue features the Tenth Doctor and Rose whilst another features the Vampire Harmony coming onto David Tennant at a party in London. Sadly Joss Whedon did not seem to think much of Doctor Who. He mentioned in a recent biography that contrary to popular belief he did not watch any British Science Fiction series such as Blake’s 7, Doctor Who or Red Dwarf. This came as a shock to many of his fans as many had drawn comparisons between Blake’s 7 and his other series Firefly. However Whedon’s harshest words were reserved for Doctor Who. He stated that he watched a single episode of it and thought it looked like it was filmed in his basement. He also described it as cheesy. However it appears that he may have been won over. He has stated an admiration for Russell T Davies for bringing the show back and also when asked if he would be interested in writing for Doctor Who stated “The Doctor is dope” but then said that he had wanted to take a break from writing other people’s characters. It should be noted that Whedon was only referring to science fiction series that he watched when he was younger so he may have become a Whovian in his later years or at least developed some respect for it.